Recently, the Hilldrup Greenville team gave back to Byrnes High School in Duncan, SC to support their annual Homecoming Food Drive. 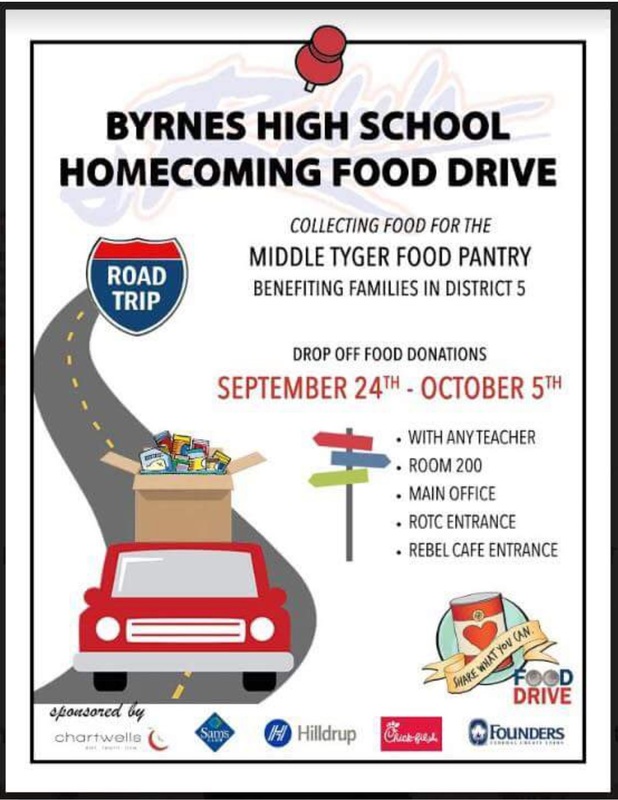 Students at Byrnes High School, home of the Rebels, collected donations for the Middle Tyger Community Center Food Pantry to benefit families in need, and Hilldrup was more than willing to join their efforts. In addition to giving back to the local community, Hilldrup was excited to be a sponsor of the freshman class float competition displayed during the Homecoming Parade. It was our way of saying thank you to the student body for their impressive success collecting donations for the food drive. We’re proud to support such a helpful organization as the Middle Tyger Community Center and a generous student body as Byrnes High. Thanks for all you do and go Rebels! Thank you to the Hilldrup Greenville team for their support of Byrnes High School’s Homecoming Food Drive. Thanks to everyone’s generosity, over 5,000 items were donated to families in need. 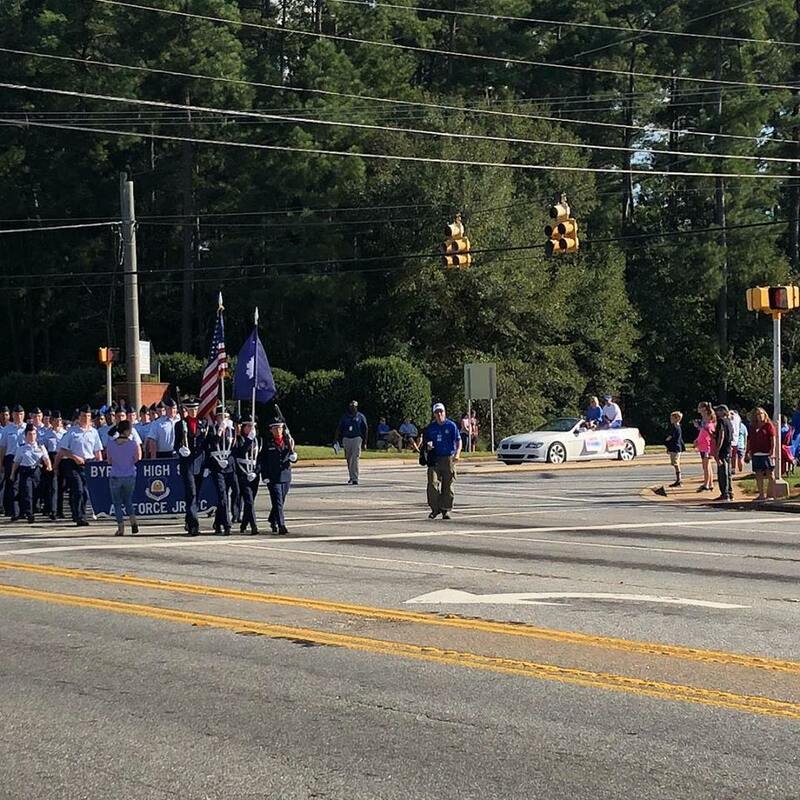 The Byrnes High School Air Force JROTC leads the Homecoming parade on October 5th. Hilldrup was proud to thank and congratulate students on their successful food drive by sponsoring the freshman class float.